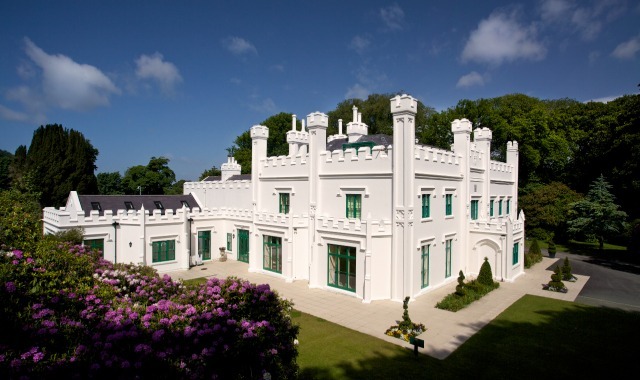 Milntown is on the A3 going west from Ramsey along the TT course. 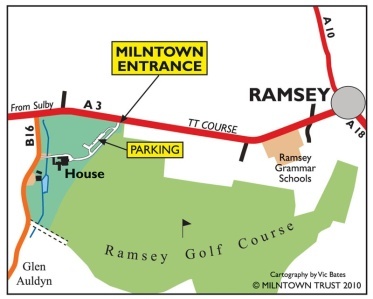 Passing Ramsey Grammar School on your left the Milntown entrance is a further 200 yards on the left. The drive entrance is clearly marked. Route 5, Ramsey-Douglas via Peel, stops directly outside Milntown's main gates. Route 3, Douglas-Ramsey via Laxey then either walk 1 mile to Miltown or catch the Route 5 bus from Ramsey Bus Station. There is a bus stop in either direction outside Milntown's front gates. The Milntown Cafe is open daily from 10am - 5pm. Tea, coffee and homemade cakes are available all day until last orders which are 30 minutes prior to closing. Come and visit us for a morning coffee, lovely lunch or relaxing afternoon tea. The Milntown Gardens are open daily from 10am - 5pm (last entry 30 minutes prior to closing). The Milntown House Tours are every Wednesday, Saturday and Sunday at 2.30pm. Tours are £7 per person and last approximately 1hr 15mins. Private House Tours for 15+ individuals can be booked upon request. Please call 01624 812321 for further details and to book.